Our clients can avail Automation And Extensible Enclosures that are at par with industry standards and fulfil the needs of our clients. To ensure faster inventory processing and quick deliveries, we offer the range in ex-stock. Owing to the availability of component placement, the range offers flexibility of operation and optimum space utilization. 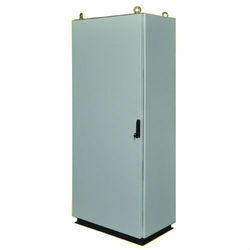 Looking for Automation Enclosures ?